This is a superb gardening book from the Arts and Crafts period with lists of plants that are able to be grown in the NY City growing zone. Chapters include: Vines, Roses, Annuals, Garden Furniture, etc. Excellent photo illustrations with several color tinted photos. 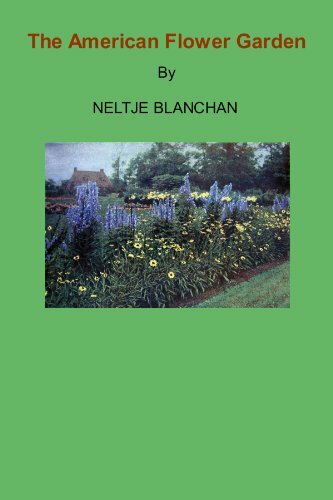 The book is an account of common native species, so arranged that the student may learn how to closely observe and deal with the distinctive characters of these remarkable plants when such problems as the botanical analysis of weeds are presented.